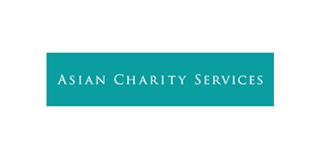 Asian Charity Services is a Hong Kong registered non-profit, which works with social change organizations that serve Hong Kong’s neediest citizens and communities. We provide pro bono business consulting services, training and solutions to these organizations so that they may operate more effectively and better serve their communities. ACS offers one of the largest platforms in Hong Kong on skills-based volunteerism to help these social change organizations within a well-supported and mutually uplifting environment between their leaders and business professionals. ACS builds the bridge between the business world and social sector, bringing senior business professionals from top tier multi-national corporations and investment banks, to work with social change leaders. We leverage their professional expertise to make a tangible contribution to social change organizations and gain first hand insights to critical social issues in the community. While the majority of our clients are headquartered in Hong Kong, many run programs that impact lives across Asia. Established in 2007, ACS has been filling a major gap within the Hong Kong community. Our mission is to effect change and raise the standards and professionalism of social change organizations at the leadership level, enabling them to be more effective, efficient and sustainable. ACS has served over 300 organizations and more than 1,000 board members, CEOs, executive directors, directors and senior executives.